Established in 1981, Refraline (Pty) Ltd has grown to be a major refractory contracting company in sub-Saharan Africa employing a core workforce of more than 300 permanent skilled staff, supplemented by a substantial pool of temporary personnel. The company specialises in the installation, repair and maintenance of refractory solutions for a wide range of industries including iron and steel, Ferro-alloys, non-ferrous metals, platinum group metals, chemical and petrochemical, cement and lime, power generation, mining, clay brick, glass and ceramics. With its head office based in Johannesburg, Refraline has undertaken numerous prestigious contracts throughout sub-Saharan Africa including South Africa, Botswana, Namibia, Lesotho, Swaziland, Mozambique and Mauritius. Projects have also been completed as far a field as Ethiopia, the Middle East and Australia. The company's reputation has been built on its reliability, flexibility and fast response times. The company is well equipped to handle several refractory contracts simultaneously, employing sophisticated techniques and using specialised construction equipment. For effective lining removal in kilns and ladles, the company has acquired remote-controlled Brokk MB 330 and MB 150 demolishing machines which reduce downtime, increase productivity and improve safety. Other world-class equipment includes hydraulically operated, telescopic, rough terrain forklifts, which deliver refractory materials to otherwise inaccessible locations, special mixing and pneumatic conveying machinery and pneumatically operated bricking rigs. 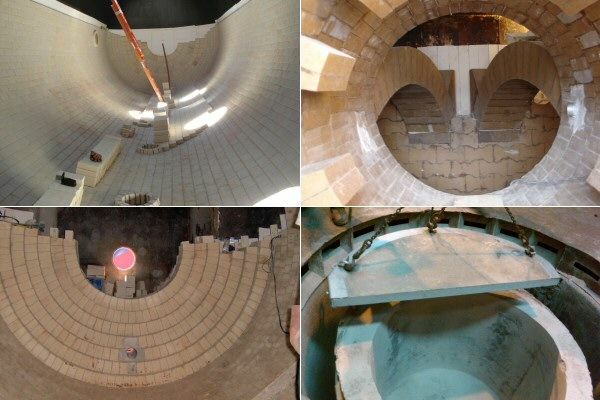 Refraline has become a major stockist and supplier of a wide range of refractory products as well as a wide range of general engineering applications. Its range consists of selected products from leading South African and International manufacturers and all products comply with strict International quality standards. It has supplied products throughout Sub-Saharan Africa including Botswana, Zambia, Namibia, Zimbabwe and Kenya. Refraline is an agent for various International companies, which includes SRIC (Refractory bricks and monolithics), IMERYS ( Kiln Furniture, Ceramic products), SP Minerals (Finmix linings for Induction Furnaces) Optimised Fibres (Stainless Steel Fibres), Ceramite wear Linings to mention a few. Refraline has been accredited by SAMPPF (South African Mining Preferential Procurement Forum) during September 2004 as a "Black Influenced Service Provider" in lieu of Black Economic Empowerment.